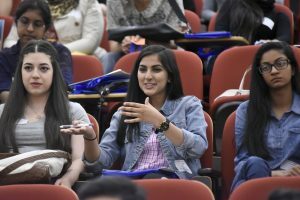 The UTSC Get Started program is a first-year academic orientation event designed to help students use all of the tools necessary to have a successful first year in university. Photo: Ken Jones. For a detailed list of the requirements necessary for successful completion of each program, please visit the Philosophy section of the UTSC Academic Calendar. This page also includes a complete list of courses being offered, including course descriptions, timetables, and instructors.